Maya Sloan's novel Rich Kids of Instagram, published in July 2014 and based on the popular Tumblr account of the same name, documents the fictional lives of a group of wildly rich and dissolute young people who like to party in the Hamptons. Here, F. Scott Fitzgerald, best known for his classic work The Great Gatsby is alerted to the existence of Sloan's book by his friend Ernest Hemingway. The call came from Ernest while, in the soothing stillness of my Club, I endured that mercifully brief sliver of time between my last lunchtime Martini and my pre-dinner Gimlet. Hemingway never was one to beat around the bush. ‘Do explain,’ I said, holding the receiver a little distance from my ear, as a precaution against hearing damage. The plot concerns a party. The characters are all agog at the prospect of meeting a new arrival on the social scene, whose wealth is as legendary as his origins are obscure. There is a scene with forty shirts. A young woman duly appeared, attractive apart from the tearstains. I invited her to join me for a liquid refreshment, feeling she might need a friendly ear for a tale of woe, but she explained that she still had all of yesterday’s papers to check for reviews of Ernest’s work and in addition to that, his shotguns to oil. She left, still weeping gently. I settled down in my favorite corner of the library with the book. A couple of references eluded me, so I fast tracked my Gimlet and the young man who brought it was able to help, explaining that TGI Fridays is a form of diner and Ibiza is rather like Kentucky, only in Europe. An hour later, I had finished the volume. I lifted my finger for a second Gimlet. As I sipped, I pondered. Why did you ask me to read it, Ernie? Not for literary value. That much I could glean from the prose, so thickly larded with neologisms and the names of minor celebrities that in a decade the text will require translation by linguistic experts. No, Hemingway did not intend to alert me to a major new talent. Nor is the volume some kind of practical joke – one may accuse Ernest of many things, but never of possessing a sense of humor. He had some other purpose in drawing it to my attention. I tried to ascertain what accounted for the intense familiarity that descended over me as I parsed the stunted sentences of the text. Then it came to me, or at least I thought it had: Ms. Sloan and I were acquainted. That must be the explanation. The book was satire, a lightly fictionalized version of the circles in which we both moved. Squiffy Parker’s luncheon do last Sunday, for example, contained several of Sloan’s cast of characters — the supermodel with dreadlocks and needle tracks, the specialist in mergers who regurgitated caviar in the swimming pool, the Eurotrash couple who copulated loudly in the guest suite — here they all were honking, snorting and swilling their way through Sloan’s fervid narrative. I ordered the telephone, which arrived on its customary silver platter. I dialed Hemingway’s number and explained my theory. I waited. I heard a shotgun blast and the breaking of glass. ‘Target practice,’ he informed me. ‘Paparazzi. No manners. Get a glazier!’ he ordered hand over receiver. Offstage, I detected feet scurrying at his command. Now my blood was up. I skimmed the book a second time. Why the sense of déjà vu, if Sloan’s characters were not taken from life? I opened my notebook, unearthed my propelling pencil and noted those points which seemed most salient. The plot concerns a party. The characters are all agog at the prospect of meeting a new arrival on the social scene, whose wealth is as legendary as his origins are obscure. There is a scene with forty shirts. One of the female characters is named Desdemona, but is usually addressed by the nickname Desi. It transpired, upon my urgent enquiry, that the phone was occupied by those placing bets on the outcome of America’s Got Talent. Several Gimlets later, it arrived, slightly dampened by the breath of my precursors. I declined the offer and sat for a while, drinking and watching the sun go down. I considered calling on the services of my law firm Grabbit and Wrench, but shuddered at the scandal which would follow a public accusation. Sloan must have banked on that, I realized. Unlike her characters, she was no little fool. Call it a deficiency in my character, but I could not bear the thought of titters, the whispers behind hands. I put away my notebook, overcome with the sense of rowing endlessly against the remorseless tide of other people’s indifference. I was beaten. Ms Sloan could plunder my work and there was nothing I could do about it. A telegram came from Zelda. I opened it, hoping for some solace. HGNRR PHGNAR WOMBATS it read. That seemed to summarize my position. I consigned the telegram to the trash, let the novel join it and ordered another Gimlet. Almost one hundred years later Mr. Fitzgerald's observations hold true. You can be utterly stupid and irresponsible--as long as you've got money. I always thought Gatsby was a love story (probably because the film versions focus on that element) but, reading it again for this article, I realized that it's actually scathing social commentary. A scathing and prophetic social commentary. 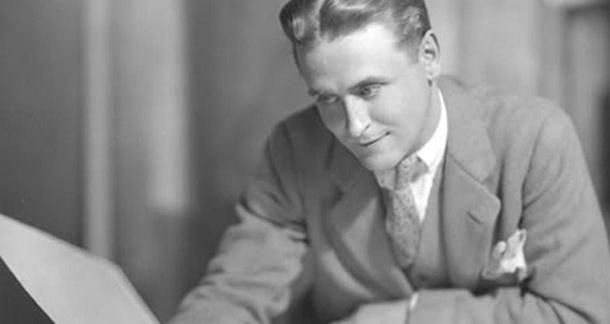 Fitzgerald examined the promise of America, prosperity and freedom, and showed what a nightmare it could become in the hands of the foolish and self-centered. Bret Easton Ellis echoed this observation in Less Than Zero. The two works, though Gatsby is far superior, share many similarities and I would recommend reading the two in close proximity to get an idea of why America is so messed up, possibly beyond repair.